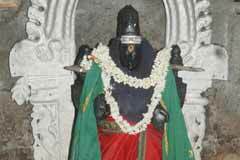 The Lord of the temple is praised in the Thevaram hymns of Tirugnanasambandar. Says the saint, Arasili is the abode of Lord who drove away Kala the God of Death, who conquered cupid (Manmatha) the deity of passion and lust, living on the alms offered by others, wearing Kondrai flower and tortoise garlands and sacred ash sprayed over His body. 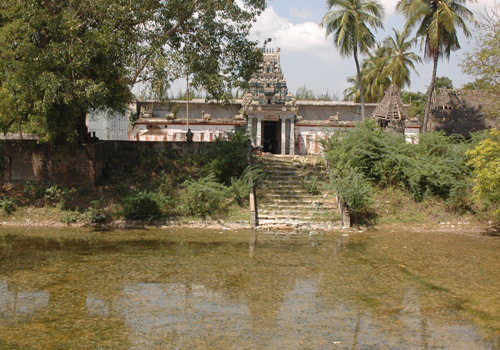 This is the 31st temple in the Thondainadu region praised in Thevaram hymns. 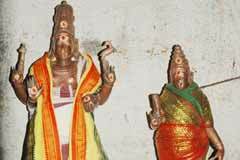 10 day Vaikasi Brahmmotsavam in May-June, Maha Shivrathri in February-March and Tirukarthikai in November-December are the festivals celebrated in the temple. 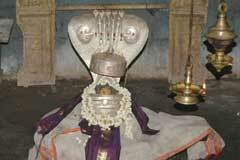 Lord Shiva is swayambumurthy in the temple. The temple is open from 6.00 a.m. to m7.00 p.m. continuously. Sri Arasaleeswarar Temple, Ozhindhiampattu-605 109, Villupuram district. 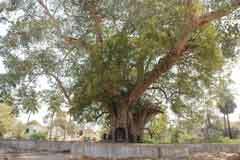 It is believed that performing abishek to Lord with the leaves of Arasu tree would bring back the positions lost by the devotee earlier and also reward with promotions. Realizing their wishes, devotees offer vastras to Lord and Mother and do Angapradakshinam-rolling around the prakara. 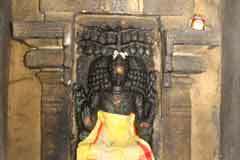 Lord Mahavishnu graces on the ghosta-wall around the sanctum sanctorum facing west. 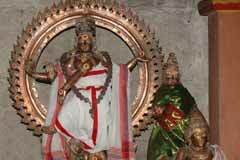 Lord Muruga with His consorts Valli and Deivanai, Bhairava, four Saivite Saints are in separate shrines in the prakara. 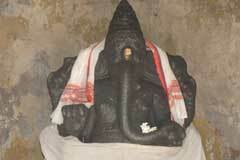 Lord Shiva as a small swayambumrthi Linga graces the devotees under a Rudraksha (108 beads) Pandal – tent. The arrow scar on the Linga is still visible. Both as a mark of respect to the Lord and as if to cover the scar injury, a turban is tied on the Linga during the pujas. 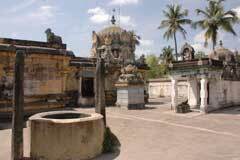 Saint Sambandar stayed here for a while and sang pathigams – set of 10 verses. Mother Perianayaki graces from a separate shrine facing south. 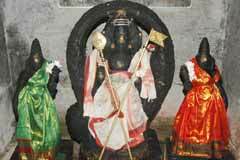 The temple is 13 km far from Puducherry on the Dindivanam road.